The winter jacket boy's hooded ski jacket is made of high quality waterproof fabric and super soft fleeece lining. Vivid color block design make the raincoat more childlike and different. Boys can dress themselves easily and zippers on the front and hand pockets are lightly to zip up for children with cord zipper pulls. Boys can keep the windbreaker in backpack for the unexpected weather when they're going to be outside with friends, without being heavy, bulky or restrictive, yet still warm and comfortable. Super soft fleece lining and warm cotton padding that makes one of the best heat retention and will keep everywhere of boys' body warm. 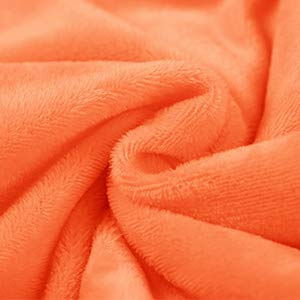 Quality fabric can help to keep cold out and prevent heat from lossing. 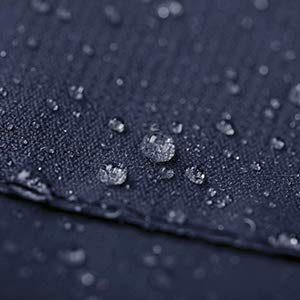 The high quality waterproof fabric that makes the rain jacket perfect for rainy days or misty weather. Keep dry and give a more comfortable experience when boys are in school or playing outside. 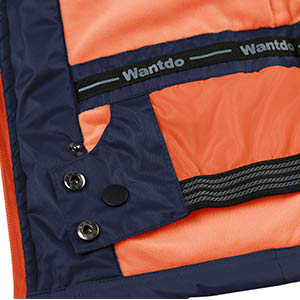 The windbreaker featuring full-length, center-front zipper, attached hood and stretchable cuffs, inside windproof powder skirt design help to keep wind out effectively.